The deadline of submission is on 8 January 2019.
and their qualifications so that they have something to adapt in the future. Examine your lives and think of the most influential teacher(s) that affect(s) your lives. Identify their personal and professional qualities that made them exceptional teachers. Then make a reflection paper on why they became model teachers. Discuss the relevance of their teaching influence to your personal and professional life. Select a title of your choice that reflects how to be an ideal teacher. 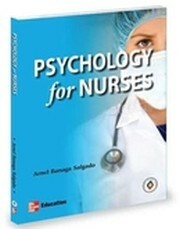 Introduce the topic in the context of Nursing Education.